A few month back I decided to make the switch: From Gmail to ProtonMail for company email (all @freshvanroot.com email addresses). While there are obvious reasons for this move (encryption, privacy, security), I want to share my experience after using it for a few month. Done migrating from @gmail to @ProtonMail with main company account! Set Up with own domain done in a few hours. First, you are moving your email service from a multi-billion dollar company, which makes profit by selling user data to advertisers, to a small Swiss based company. Google provides an email service which is tightly integrated to several services, like GDrive, Google Docs etc. So if you switch your company email you have to carefully plan this out. Apart from the services from Google you might use you have to think about the thousands of 3rd party add-ons you are no longer able to use combined with your email service. One example: I used the boomerang extension for Gmail,which allowed me to get a scheduling feature in Gmail. 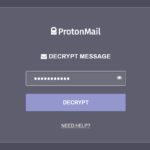 ProtonMail is an encrypted email service, which means there is no way for a 3rd party service to read and analyze your email, even the ProtonMail staff cant do this (if you loose access to your account, ProtonMail is not able to help you out). Calendaring: ProtonMail has no calendar feature. That’s what hurts the most for me. If you get invites you have to manually open the ICS file and add it to your calendar. 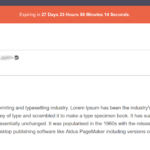 Its one of the most requested features and was promised to be available by end of 2017, but until now it has not arrived. Since an update last year it can at least preview the content of calendar invites. Manage Contacts: ProtonMail comes with a contacts feature, but you can’t sync the contacts with your phone. ProtonMail says the sync feature will be available by end of 2018. Scheduled email: I try to not send out emails late at night (most people are bad at managing their notifications), or for tactical reasons want to send emails at specific times. This is a requested feature, and according to this email thread its planned. With our paid subscription we are able to use ProtonVPN. Thats a benefit for me as I was using different (paid) VPN services in the past and I get ProtonVPN as an add on to my email subscription. 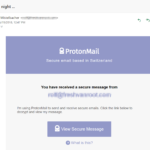 eMails sent between ProtonMail users are encrypted: All staff is using ProtonMail, so internal communication is encrypted. 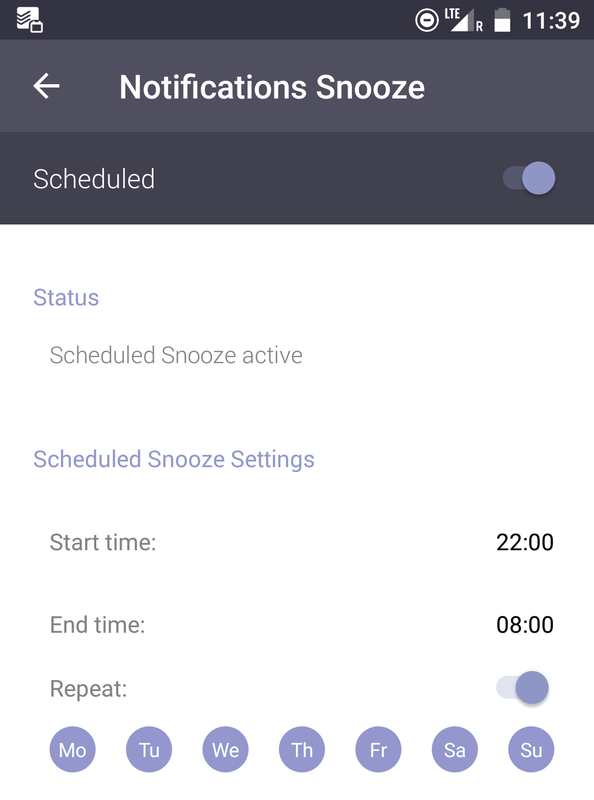 The ProtonMail App comes with settings for snoozing notifications and allowing me to set a Pin for opening the email app. Thats something I missed in the Gmail app. You can start an encrypted conversation with non ProtonMail users by setting a password you exchange beforehand. The email sent contains a link to the ProtonMail website where the recipient enters the password. Afterwards the reply can be sent via the web interface instead of the recipients email client. Apart from that you get all the features you expect from a modern email client: Categorize or label emails, a well working spam protection, out of office feature etc. While you are loosing the possibility to use add-ons directly connected to your eMail you can use a good old fallback solution. Most of the services we use (Slack, Trello, ToDoist) offer a forward email service (but: a paid feature in most SAAS apps!). We enabled Todoist email forward for all client projects. Would I recommend making the switch? If you are thinking about moving your company’s email, I would say wait out for the calendar feature to be available. ProtonMail failed to deliver the calendar feature until now, despite saying it “is a priority for this year (2017)“. If encryption is a must for you, make the switch. The company is very responsive, you are joining a relatively small community and can make yourself heard (Request features, join in on the discussion). 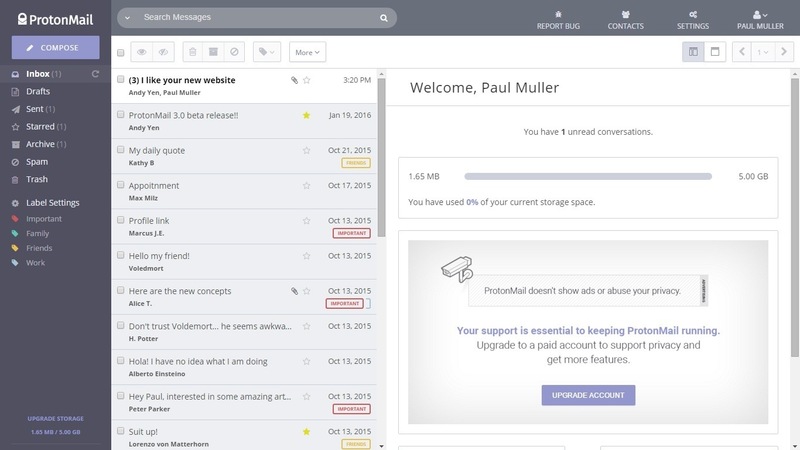 If you are are using Gmail for personal use, make the switch, ProtonMail offers a free plan. Trialing Protonmail. So far so good, but the lack of calendar integration is keeping me from moving over. I just don’t have the time (no seriously I don’t) to download and maintain a separate calendar. Google Mail and Calendar integration is automated and seamless. 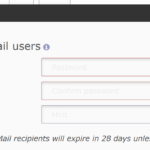 I really hope Protonmail can come up with a secure calendaring app. Calendar apps – tough business these. My workflow is dowoading the ics on mobile and it opens in Google calendar. Not optimal but good enough to stay with them. I have tried to make the switch. A poor performing mobile app that doesn’t even allow you to thread convos let alone poor search makes it difficult. Also I woud like to use 2FA but honestly, annoying that I have to use it EVERY time even when logging in on my same device (Chromebook). When making the switch I was expecting new features to be developed / shipped faster. That did not happen. I am sticking with it for another year at least. I have planned to write another post about it in the coming weeks, to reflect my current experience using it. I agree! I was hoping for new features as well! I don’t really want to make the switch back to Gsuite, with the recent cost increase.